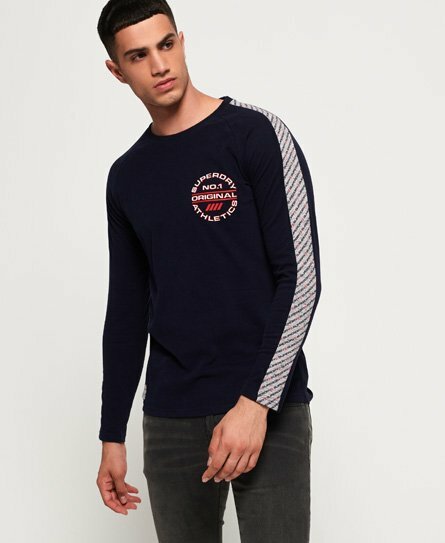 Superdry men’s Trophy micro long sleeve t-shirt. This long sleeve tee is an essential for your off duty attire, wear with jeans and trainers for an on-trend look. Featuring a classic crew neckline, long sleeves with Superdry contrast panelling down each sleeve and a rubberised Superdry Athletics logo on the chest. For the finishing touch, a Superdry Athletic patch has been added above the hem.